Fried Wontons as an appetizer. See below for making wontons for hot pot use. My mom and her best friend Tucky used to make these wontons for our church’s food festival, prepping thousands of them ahead of time and freezing between layers of wax paper. I remember being in the church banquet hall filled with tables and it seemed like the entire congregation was there to help. I’d sit with my brother, sister and cousins happily making wontons for hours. When wontons are defrosted, they can become soggy, so my mom and Tucky had a trick for their filling: instead of using the more traditional regular onions in the filling (which weep when thawed), they would use scallions. This recipe freezes really well, so I highly recommend making the full batch of 100 wontons even if you don’t plan on eating them right away. 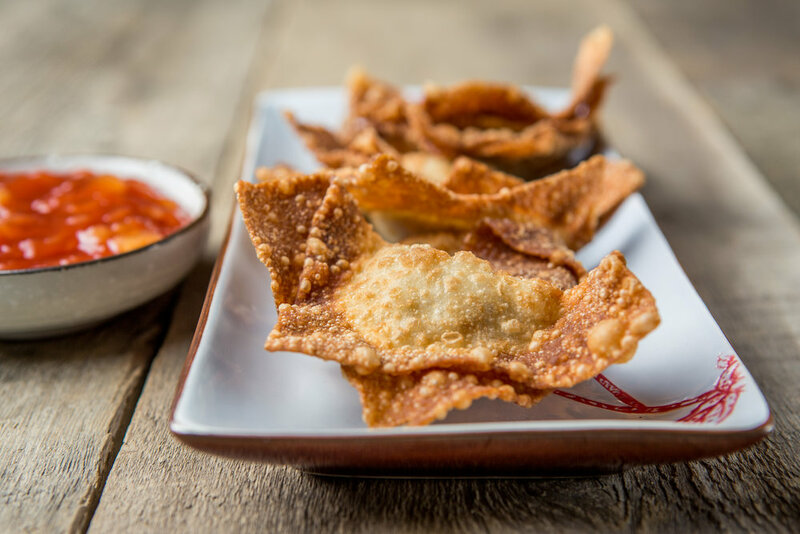 Also, the great part about this recipe is that these wontons can be fried and served with a dipping sauce or simmered in a hot pot - it just comes down to how you assemble them. Fried wontons are folded to look like a boat with two sails and simmered wontons look like a cinched up purse. The boat shape limits the filling to less meat so the filling is able to cook through during the brief frying time, whereas the cinched up purse technique can hold more filling because the wontons can simmer for a longer time. If you want to try these in a soup, check out my Pork Wontons with Macanese Broth where the wontons are cooked in a slightly sweet, aromatic pork bone broth until perfectly tender. Make the sauce In a small saucepan, make a slurry with the chicken broth and cornstarch. Then whisk in the rest of the ingredients until smooth. Bring to a simmer over medium-low heat and cook, whisking, until the sugar has dissolved and the sauce is slightly thickened, about 10 minutes. Make the wontons In a food processor, pulse all of the ingredients until well combined and a meatball like texture is formed. If you do not have a food processor, all of the ingredients need to be chopped fine and combined. Fill a small bowl with water and line a large airtight container with wax or parchment paper. Working with one wonton wrapper at a time, place a rounded teaspoon of the filling in the center of the wrapper. Be careful not to overstuff the wonton wrappers or they will be difficult to seal. Wet your finger in the bowl of water and moisten the wrapper around the filling. Fold the bottom half of the wrapper up and away from you so that the corners of the square are off set. Gently press the wonton wrapper together around the filling to seal. 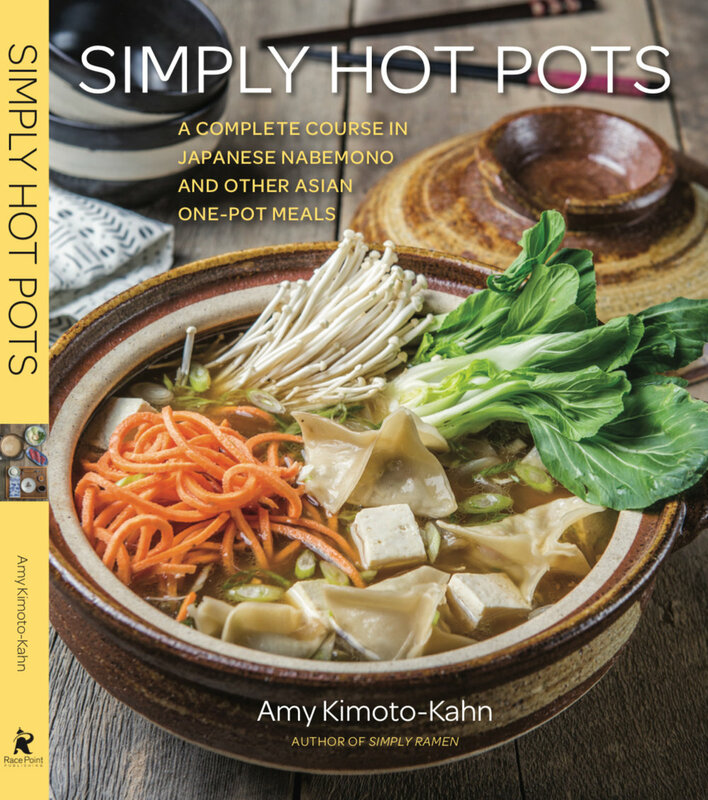 If you are making these wontons for a hot pot, see Note. Transfer to the airtight container and repeat with the remaining filling and wonton wrappers, separating each layer of prepared wontons with wax or parchment paper. Fill a large saucepan or a deep fryer with 1½ inches of oil and heat over medium-high. Line a rimmed baking sheet with paper towels. When the oil is hot, test the temperature by adding a small piece of wonton wrapper to the oil - it should fry up quickly. Working in small batches, carefully add the wontons to the hot oil. They should not be touching. Fry until puffed, crispy and lightly browned, about 5 minutes. Using a slotted spoon, transfer the fried wontons to the paper towel-lined baking sheet to drain. Repeat with the remaining wontons. Serve right away with the Sweet & Sour Sauce for dipping. MAKE AHEAD These wontons can be made in advance and frozen for 1 month. You could also refrigerate them overnight and make them the next day but not for longer. NOTE If you are preparing these wontons to use in a hot pot, place a rounded tablespoon of the filling in the center of a wonton square. Moisten the outside of the square with water, then pinch up the opposite edges to make a square purse with sealed edges.